The weather might not agree but the calendar says it is time to start planning for summer. Summer camp administrators and leaders have been busy attending national and regional conferences to learn how to maximize camp attendance and programming. We have put together a few tips for facility operations and development that focus on furniture as a transformative part of camp operations. 1. Turn outdoor space into a classroom, theater, worship or eating space. Outdoor space is a hallmark of summer camps but is often underused or used as a dedicated nature-scape. There are simple ways to turn green space into multi-use space. Furniture like benches and picnic tables that are weather-proof are ways to invite the classroom and meals outside. Options like molded plastic stacking chairs are not all-year weather hardy but they can withstand summer sessions left outdoors and can convert any area into a theater, worship center or classroom. Solid wood Adirondack furniture is still a classic for outdoor, heavy-duty seating that will stand the test of time. 2. Summer camp bedroom furniture is designed to save space. 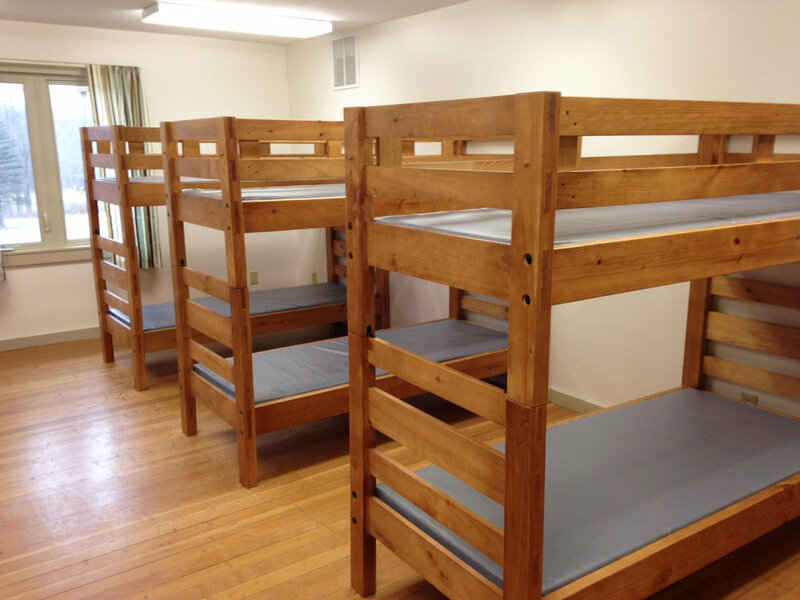 A unique feature of summer camps is that there is an expectation that the facilities will be organized to accommodate a maximum number of sleepers in as efficient a space as possible. That is why bunk beds are such a natural fit for camps, conference and retreat centers – they sleep two people in essentially the same space as a single bed. Both metal and solid wood bunkbed options are popular for camps who want durable, long-lasting sleep surfaces that are easy to maintain. Frequently, ladder-end beds or integrated, vertical ladders are used to keep floor space free. Storage for campers’ personal items is also very efficient with the use of items like under-bed storage chests or tall, divided cabinets that allow campers to neatly store their stuff while not overwhelming sleeping rooms with bulky furniture. 3. Create family-friendly spaces with larger camp-style furniture. Twin over full bunks or full bunk beds can convert a kid-friendly sleep-away camp into a family-friendly retreat center. Adults won’t typically sacrifice too much comfort when sleeping away from home so wider Bunk Beds are a great solution that offer extra room to sleep while still offering the benefit of stacked, bunk beds that maximize the number of sleepers per room. Crate furniture for common areas is another great solution for accommodating adults. The heavy-duty, durable wood frame can take the heavy use of young campers, but the cushions create the feeling of fully-upholstered furniture for adults who want to sit in comfort. 4. When sleeping large numbers of residents or campers, providing mattresses is a necessity. Buying mattresses is typically a budget-stretching process since facilities need hundreds of mattresses at a time to accommodate all of their campers, residents and staff. Our mattresses are highly customizable to your exact needs. We offer innerspring, and fiber core options in any size. Fluid-proof, bed bug resistant, and other specialized cover types are always available with no additional cost. Mattress encasements are different than the mattress cover that you select when you buy a mattress. Encasements are removable, washable and actually trap allergens, dust mites and bed bugs (yuck, I know). Encasements are smooth with a special micro knit that is too small for the small mites and bed bugs to crawl through. Buyer beware! There are many, many encasements available that make all sorts of claims of benefits. BUT, the true benefits of pest and allergen controls are proven only on lab-tested and lab-certified encasements. 5. Small investments can add appeal to parents shopping for summer camps. Let’s face it, looks matter. 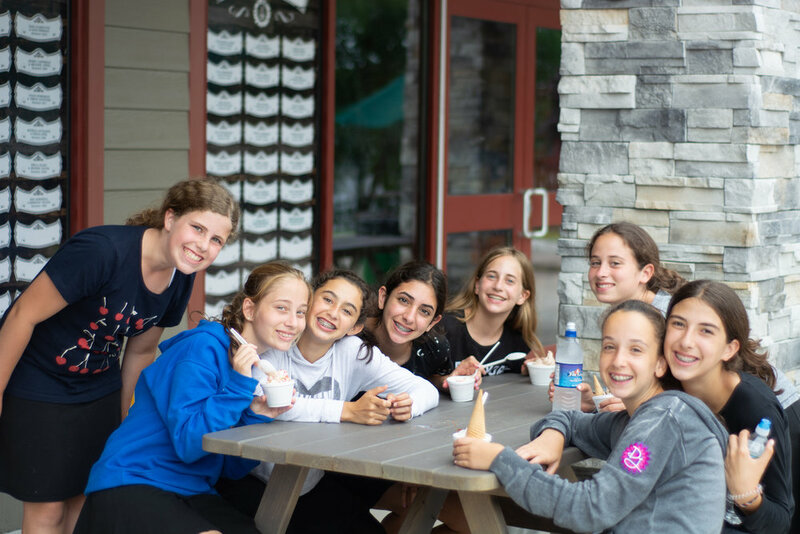 Programming and staff might be your most important assets but potential campers (and their parents) like to be in a facility that is well-maintained with up-to-date amenities. Replacing cushions on seating pieces is probably one of the best ways to spruce up an aging décor. Replacing tired, worn cushions with fresh, new patterns and colors. This small investment can make common areas look new and give potential campers and their families the sense that facilities and operations are a priority for the camp. Always use a reputable contract furniture provider. Proving furniture for camps, conference and retreat centers is a specialty of only a few contract furniture providers. It is important to work with someone who adequately understands the durability and price requirements of your facility.